Beautiful house with 5 bedrooms, 3.5 baths on the Golf Course. Don't get stuck in a hotel chain with one room, a bed and a TV, when you can have 4000 sq ft of LUXURY on the Golf Course. This golf course home is fully furnished with everything you'll need to make your stay one of the best traveling experiences of your life. The beautiful two story home is the only vacation home on the Golf Course. With over 4000 sq ft of living area, this home can handle almost anyone's needs. Five bedrooms, two large open living areas, media room and full kitchen are just the start. The home is located on the 2nd fairway of Mansfield National Golf Course and offers great unobstructed views, lazy quiet days and peaceful surroundings. The home has a great master suite with private Jacuzzi tub and walk-in shower. Large screen TV's in the media room and living area. This great home also has a universal gym and Ironman stationary bike, for a great work out - no need to go find a gym or workout room. This home is also a short walk (yes we said walk) to the Golf course Club House, Hawaiian Falls Water Park & Big League Dreams Ball Field. If you insist on driving it's about a minute way. 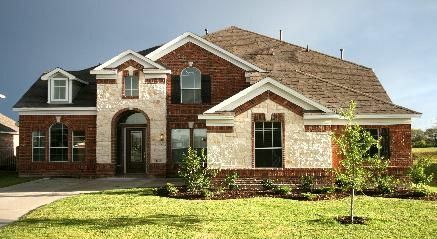 The Home is a 15 minute drive to the the Ball Park at Arlington home of Texas Rangers Baseball and the new Dallas Cowboys Football Stadium, Six Flags Magic Mountain, and Lone Star Park Horse racing. Shopping, Restaurants and Grocery stores all nearby. This property has a 3 night minimum stay and a one week (6 nights) minimum stay for summer months and all major holidays. Where 'Our Home Is Your Home'. toilet, shower, jetted tub, Master Bath with huge walk-in closet and double sinks. Driveway parking and one car will fit in the garage. Excersise equipment in the garage. Large kitchen with huge center island and stocked with everything you'll need. One 42' flat screen down stairs and one 65' flat screen upstairs. Access to unlimited NetFlix movies and shows. 10 minutes to Joe Pool Lake with numerous aquatic activities. Home is on the golf course, walking distance to the club house. We needed a Thanksgiving destination for our family who live in different states and the Dallas/Arlington area was perfect. We located this property and the owners were excellent!! We loved the location and the booking process was simple and the communication was great. The home was wonderful, it was plenty big enough for our family of 12, the house was neat, clean and everything we needed was there - huge kitchen. The location was good as we attended football games at Cowboys Stadium, and made several trips into Dallas. We did not have time to play any golf but being on the course was nice. Wonderful house, wonderful owners, we would definitely come back and recommend to others. Thanks Ricky!! You left the home in great condition and we would love to have you back. The house was everything that was advertised, except clean and well maintained. The first thing we noticed was the interior of the refrigerator/freezer had spilled food on the shelves. We had to empty it and wipe off the shelves before we felt comfortable putting food in it. The window sills had dead bugs and hair on them. The bathrooms had lots of hair on the floors, especially behind the doors. The inside of the washing machine had to be cleaned before we would put any clothes in it. The pantry shelves were filthy. There was a ring of spilled food that was easily wiped up. There was wads of sheets in one closet but no indication of whether they had been washed or not. We were not comfortable sleeping in the bedding that was on the beds. The shower in the Master bed room had black mold in all the corners and some of it had been silicon-ed over. The house had at least, 4 broken windows from golf balls. Yes, I understand it's on the golf course, but it is clearly a sign that the house is not being maintained. There were 2 glass jars completely, full of water and old cigarette butts just outside the door. One of those jars had been broken and the contents left, spilled on the ground. When we are charged a cleaning fee we expect the place to be clean. This is not a place we would recommend or re-book. We are really surprised and yet not surprised with the review by this guest. We are surprised because this house has been in service for 9 years and we have never had a bad review – all 5 star reviews. We are also surprised because at no time during their stay did the guest ever call us and complain, which is odd because we will always go by and take care of any issues right away – we are not perfect. The only contact we had was when they wanted to add more guests to the home and asked if there was a charge and we told them it was fine that there would be no extra charges. We are not surprised because this guest expected a $500.00 damage deposit refund, however we never took one, so there was nothing to return. It is our policy to charge a damage fee only if we find problems to the house after the guest leaves – the house was left in good order at check-out so nothing was ever charged (their invoice clearly showed no damage deposit charges). Lastly we are not surprised because they wanted to bring pets into the home and we did not allow it. That’s when the bad review followed. Yes we did have broken windows, we have had really bad luck this last month with golf balls. We can go years without getting hit and then in two weeks get clobbered, we have no control over this. However these are double pane windows and only the outside pane was broken, the inside glass is perfectly fine, so it has no effect on your stay. Also this is a big home and the ceilings are so high that we need special ladders to reach light bulbs and window seals, so yes we do get webs in those areas that our cleaners cannot reach. The “wads of sheets in the closet” are all clean extra linens in the master bedroom closet that we leave for our guests to use, we do not understand why they would complain about that. And we did miss a broken jar with cigarette butts in the back yard that was left by the previous guest. Everything else is greatly exaggerated and not worth reviewing. We understand that perception is everything and regardless of the condition of the house, if it is perceived as bad then it is bad. So to our guest we apologize and we will work harder to make sure our guests are comfortable and happy with their stay. Marcos was very helpful in accommodating our group. We had a great time in this wonderful 5 bedroom home right on a Golf course! Kitchen had all the pots and pans that we could use. Everything worked well and no issues. Will rent again if needed in the Dallas area. Also, very close to Joe Pool Lake with some wonderful boating options. My family needed a place to gather as I have 3 children in college in the Dallas area. We were all saying goodbye to their brother and his family who are heading overseas to the mission field. This was the perfect home and setting for us to get together and have some great family time before they leave. The home had ample space, clean and all the amenities for our family. The large open kitchen was a huge plus as we could cook and still visit with everyone in the den area. The brothers (and dad) escaped several times to the media room to watch a "little" golf as well. The owner was very accommodating and offered to help with several of our requests. Will stay there again if the opportunity presents itself. My group and I came to the Dallas/Fort Worth for business and a few days to have some fun. This house was great!! When we saw what a great price this home was we jumped on it - other homes this size were hundreds more. Beautiful on the inside with a huge kitchen, lots of space upstairs and down and super clean. The owners made sure we had everything we needed. The location was perfect for us. We all had a great time. We would highly recommend this home and we would stay there again when coming to Dallas. Great Dallas area vacation rental for a large family!! This property was perfect for my family of 6 traveling to Dallas, and in fact could have accommodated several more! The owner was very accessible, and responded quickly to all of my communications. The layout of the house is perfect for the large family or group, and has a fantastic kitchen! The location is also very convenient, with downtown Dallas only 20 to 30 minutes away, and six flags and hurricane harbor only 20 minutes. All in all, we had a fantastic time and will definitely rent from again when we travel to Texas in the future. Please Note: There is a minimum one week stay (6 Nights) for summer months and all major holidays.